Chinese social networking service second quarter of 2012, up 47.5 percent year over year, but the company had a net loss of $24.9 million due to macroeconomic challenges with the advertising industry. Online gaming was a bright spot for the company, as revenues jumped up 122.1 percent to $22.5 million. The increase means Renren now makes more money from gaming that it does from advertising. The site’s net loss of $25 million compared poorly against its net income of $0.8 million during the same period last year. However, the company was buoyant about the impressive rise of its gaming figures and its group-buying division. 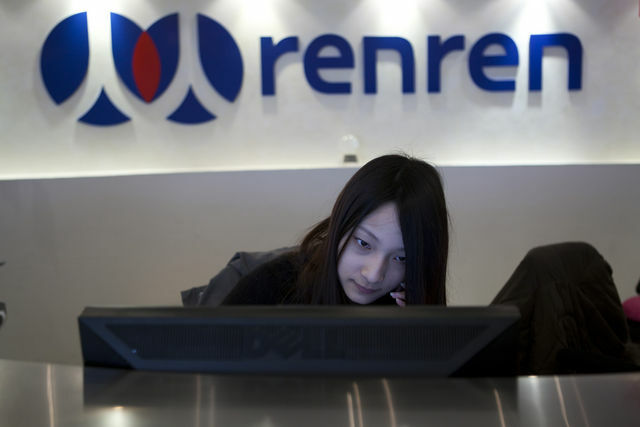 Renren’s user base of activated users grew to 162 million over the quarter, up from 124 million in Q2 2011. Monthly log-ins increased 31 percent to 45 million. The company said it is looking to mobile opportunities and will experiment with monetization via mobile gaming, mobile advertising and mobile commerce. Renren recently linked up with Japan’s DeNA to cooperate on mobile gaming on Android in China. Other Chinese companies to report quarterly earnings this week include Web portal Sohu and video giants Tudou and Youku. Renren isn’t alone in its struggles, as Tudou and Youku also posted losses during the period.